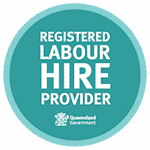 Government Owned Corporation - Zelda Recruitment & Job Agency | Brisbane | The best jobs in Queensland. A Government Owned Corporation (GOC) with ongoing demands in their accounting support and professional accounting areas. Regular temporary demands for high calibre individuals with high volume Credit experience, high-level management and financial accountants. Roles are open ended and require candidates to consider the possibility of permanent positions evolving from the temp assignment on occasion. Only the highest quality candidates are requested. Janine Chatfield is on a panel for service delivery and, as such, roles are distributed to a minimum of three agencies. To date Janine has successfully placed 55 candidates out of 59 assignments. Janine can be relied upon to ‘hit the nail on the head’ so to speak, and deliver the best candidates within in tight timeframes. We are thankful for her efforts. Janine’s commitment to our organisation, and the candidates’, can be seen with her post-placement service. Janine is always popping out with fabulous cakes and having morning teas for her temps which they all enjoy. On occasion, as can be expected with a large support team, issues can arise and Janine is an engaging and empathetic person who deals with any issues quickly and efficiently. Zelda Recruitment is a home grown Queensland boutique recruitment agency punching above its weight. Our client list is enviable, our talent communities are deep and our track record of quality delivery is the foundation of our success, and the wellspring of our reputation. We know the best people.